You know the problem: that third brake light at the bottom–center of the back window. Now meet the solution: the Tail Fin from Pro Tools Now. The Tail Fin Squeegee tool is designed to make installing film around the third brake light easier. It pushes out moisture – and keeps it out with pressure that holds down edges behind that bothersome third brake light. The Pro Tools Now Tail Fin has an arched, curved body that gets behind the brake light to apply the constant pressure required to keep moisture from seeping back, thus allowing the adhesive to grab. 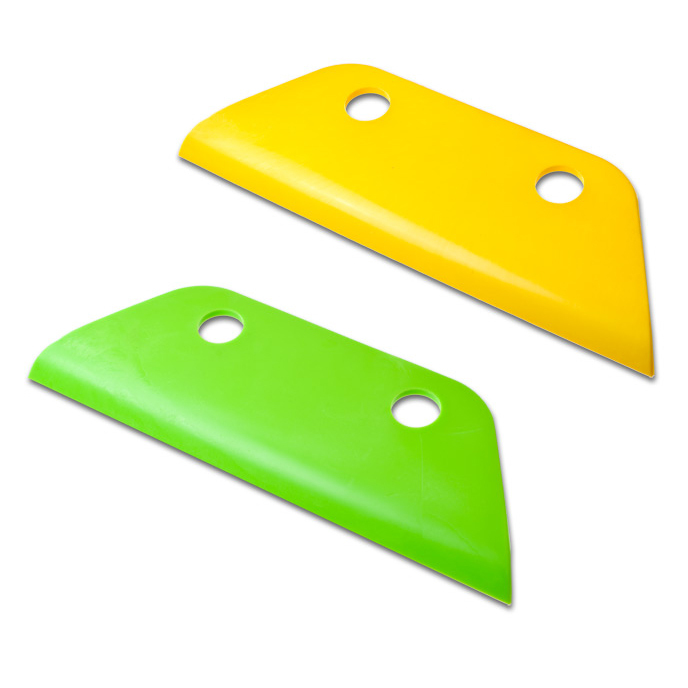 Designed with two holes in the body of the tool for a better grip, the Tail Fin is available in a slippery soft version, or a firmer version. You’ll want to give them both a try.